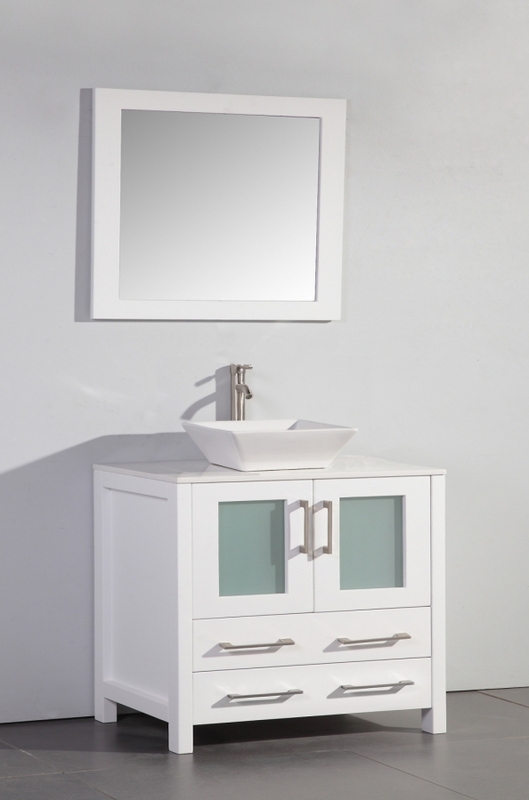 The light tones of the finish and the white material of the sink vessel and counter top really enhance the modern design of this single sink vanity and will make a great impact in the bathroom. Aside from this wonderful style, this piece also brings great functionality to the space. There is plenty of room for storage within the double door cabinet and the two drawers. 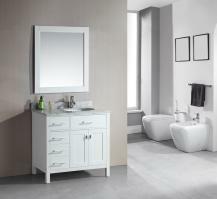 The mirror makes a great spot for personal viewing and adding a spacious feel to the room. 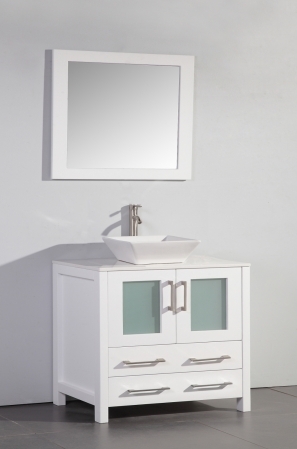 With great accents like the brushed nickel hardware pulls and the frosted panel inserts on the cabinet doors, this piece adds a nice decorative touch to the space as well as functionality.